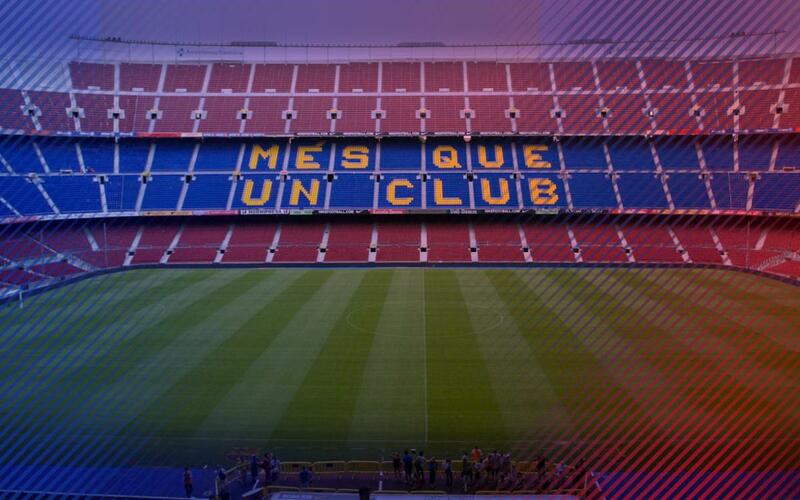 Nowadays, everyone around the world knows all about Barça being ‘més que un club’ as the famous expression goes. And it’s an expression that’s fifty years old today! It was originally coined by Narcís de Carreras on 17 January 1968 just before he assumed the club presidency. In those times of supressed democratic rights under the Franco dictatorship, it was a way of depicting how Barça is not just about sport. It has always been a symbol of the Catalan identity as well. Since then, the expression has been used to describe other aspects of the club’s uniqueness, such as the fact that it competes not only in football but in several other sports and, of course, also as a reflection of its noble principles and especially its dedication to social causes. In all honesty, the original intention was probably no more than a description of how supporters are so fervently loyal to their club. He could have been speaking about any football team. But under the shadow of fascism, there was another underlying interpretation that did not go unnoticed. Barça was not just about sport. It was also a symbol of the oppressed Catalan sentiment at a time when people had to very careful what they said in public. Curiously, the phrase didn’t particularly catch on at first. It was not until 1973, and an advertising campaign run by Javier Coma for a game between European and American XIs at the Camp Nou. The ad, which appeared in all the major sports dailies (in the Spanish language) proclaimed that: “The history, projection and activities of Barcelona football club have not only positioned it above the situations that the football team has faced, but also on a much higher emotional and cultural plane that would normally be expected of a sports club”. A few weeks later, the slogan, this time in Catalan, that “we are what we are called: Barça is more than a club” was to be used for Agustí Montal Costa’s presidential campaign in December 1973, but was eventually dropped. However, by now the expression had clearly caught on among the populace. It has only been in more modern times that the term has gained a kind of semi-official status. It is emblazoned on the Camp Nou terraces, outside the club offices, on the shirt, on the website and many other places. This has occurred at the same time that the club has become a truly global icon. Barça is no longer just a part of Catalan culture, and a way for new arrivals to integrate with the locals. There are supporters in every continent, and Barça is also a vehicle for charity programmes, such as the agreements with UNICEF, ACNUR and UNESCO and all the noble work done through the FC Barcelona Foundation. Barça donates two million euros to UNICEF every year and its Foundation uses 85% of its income for social causes. But whatever the origin of the expression itself, there’s no ignoring the fact that the sentiment behind it has been around for a lot, lot longer. In fact, we could go all the way back to the club’s official newsletter published in April 1933, where it said that “FC Barcelona seeks to means much more than a mere football club, which is why it is considered indispensable for it to be represented in places of honour and commitment”. The expression may be fifty years old today, but Barça has been ‘more than a club’ for many more years than that!